Home Body Disorders Have you ever seen a girl eating her own hair??? Do you know how dangerous it can be if you start eating your own hair? Rarest of rare cases, 15 year old girl from Andheri, Mumbai was eating her own hair since 10, complained of severe abdominal pain last month. She was immediately admitted to SevenHills Hospital and was diagnosed with Trichobezoar (Hair ball or Hair mass formed in the stomach due to eating of hair) by one of our doctors. Barely a hundred cases of hair-ingesting are documented in medical literature. 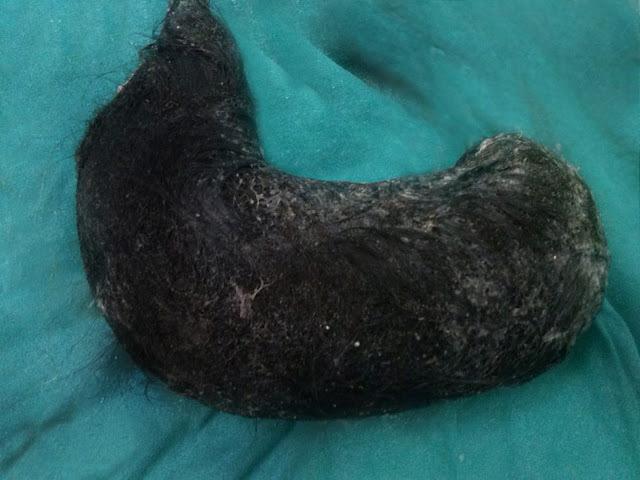 A CT scan was performed which confirmed the hair ball in her stomach weighing 1.6 kg, was successfully removed through incision. There was no space for food at all. The girl’s father realized about this disorder only when their daughter started complaining about abdomen pain and reduced appetite. The parents are relaxed, as the girl is recovering now.